Lately I've been leaning towards white items and built myself a little collection which is great! it's so easy to gravitate towards all black when picking clothes but rarely towards the absence of colour. There are SO many of my favourite things in this outfit starting with my amazing embellished skirt from Virgos Lounge which is one of those pieces that you literally baby when holding as it's so precious with all its minute details! I love heavier pieces of clothing that scream attention to detail because they always show good quality. Speaking of amazing quality... my new baby, the tote bag of dreams! 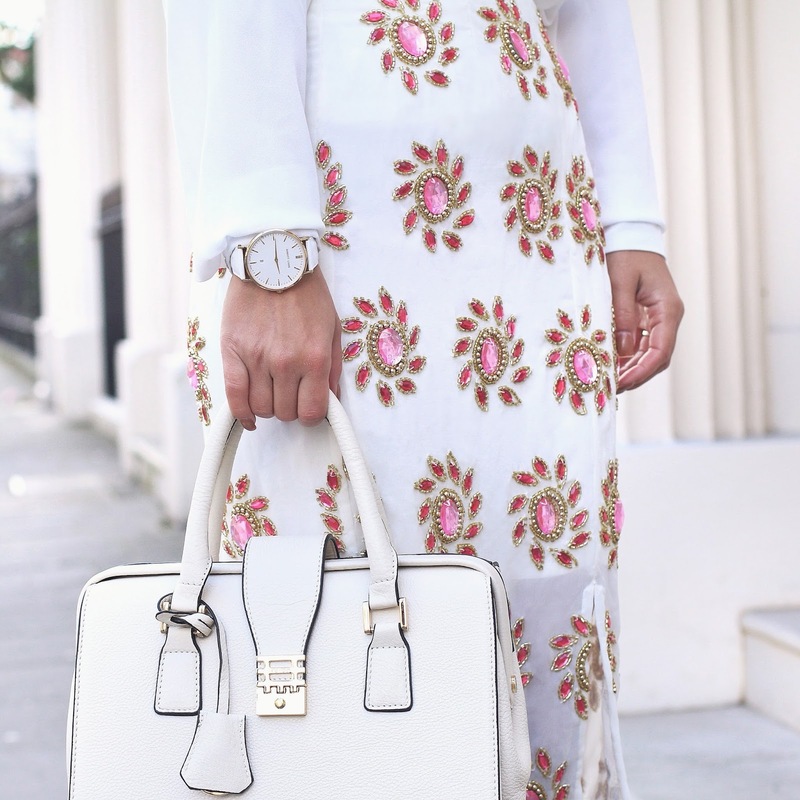 elegant, timeless and oh so chic. I am finally trusting myself with a light coloured bag because this one was just the perfect fit. Florian London specialise in making bags from the finest leathers so if you're looking for a staple long lived piece here's your place. 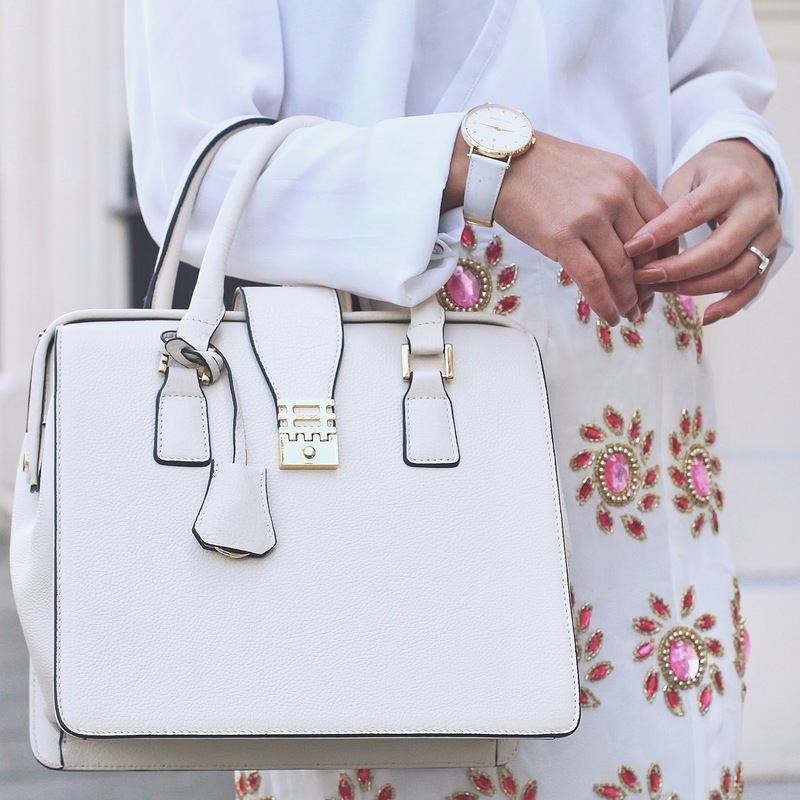 The cherry on top which you guys have probably seen a few times on my social media as I've been wearing the heck out of it is my new Abbott Lyon watch in dove white with gold details which is my best loved accessory right now, you can't beat a good watch.